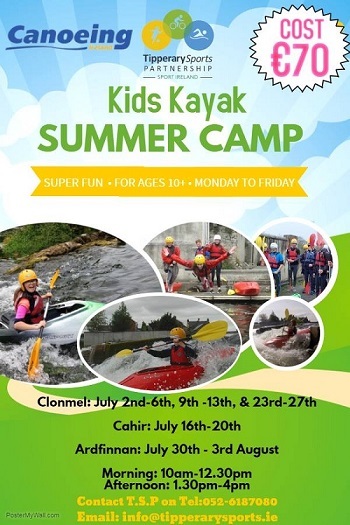 Tipperary Sports Partnership is proud to announce the launch of its 2018 Summer Kayak Camps on the River Suir. The camps are aimed at young people between the ages of 10 and 16 and will run during June, July and August. 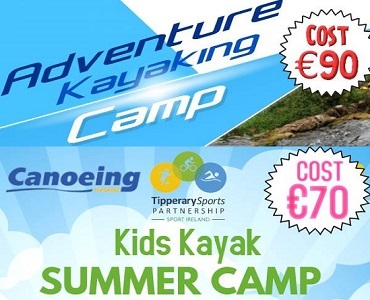 The aim of the camps is to introduce young people to a range of paddle sports in a safe and fun environment. They will get to experience short river trips and learn about their local environment. Kayaking is lots of fun and a great way to meet new friends! 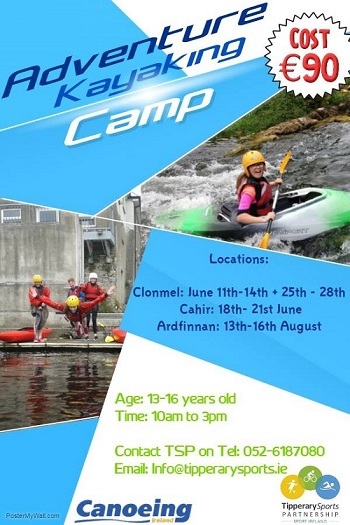 The camp will also cover water safety knowledge and skills.